SpeedFan is a monitoring program for users who think that the Windows Task Manager is too basic. It allows you to monitor the health of your hard drives, the temperature of different components, and change the speed of the fans. The main interface of SpeedFan can be intimidating at first but once you get past the deluge of data, you're greeted with a very powerful application that can help you troubleshoot the most difficult PC problems. SpeedFan offers more functionality and information than even your PC's BIOS can. 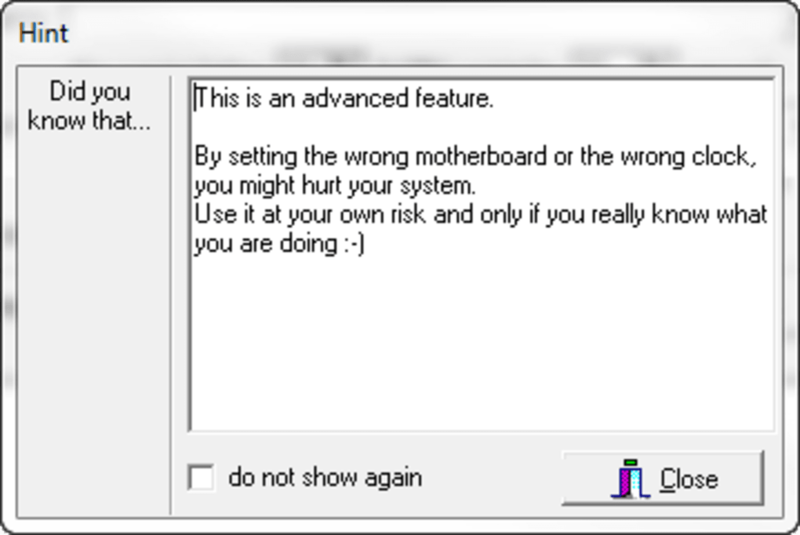 While SpeedFan may be intimidating to use at first, it offers a bunch of warnings by default that alert less-advanced users to the dangers of messing around inside the program. Although the program spits out a bunch of numbers at you, the developer has also included some UI elements like charts, graphs, and meters to help you understand what's going on. More advanced users can use SpeedFan in conjunction with a program like Prime95 to stress test and monitor a custom PC build. 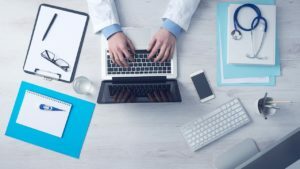 These tools are really handy for testing the stability of your PC. SpeedFan is useful for both the novice and expert. Novices can use the program to check the health of their PC and control the speed of their fans (especially useful on a laptop) while more advanced users can take advantage of the troubleshooting aspects and performance monitoring that SpeedFan provides. Anyone who is serious about PC performance and stability can benefit from SpeedFan. 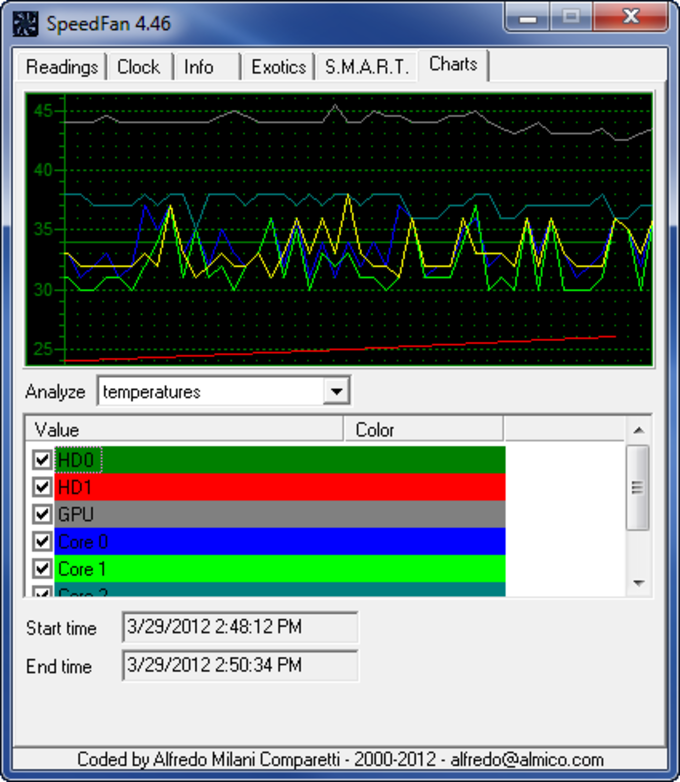 SpeedFan is a freeware program that monitors voltages, fan speeds and temperatures in computers with hardware monitor chips. SpeedFan can even access S.M. 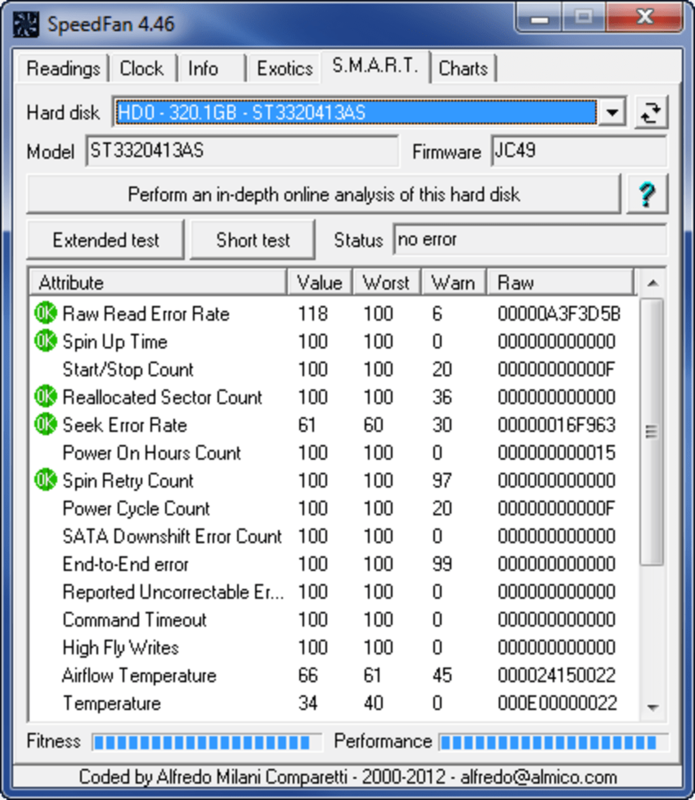 A. R. T. info for those hard disks that support this feature and show hard disk temperatures. SpeedFan supports SCSI disks too. SpeedFan can even change the FSB on some hardware (but this should be considered a bonus feature). 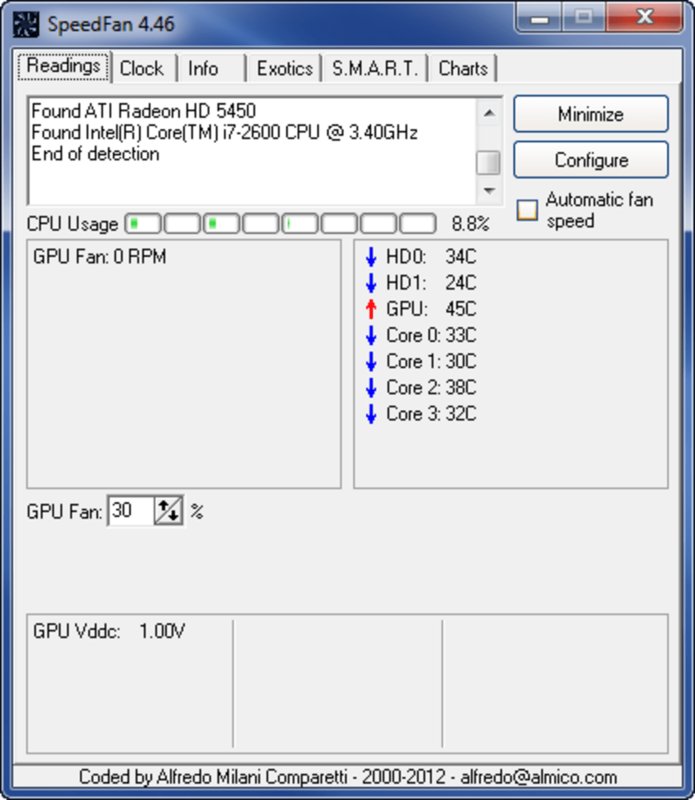 At the lowest level, SpeedFan is a hardware monitor software that can access temperature sensors, but its main feature is that it can change fan speeds (depending on the capabilities of your sensor chip and your hardware) according to the temperatures inside your PC, thus reducing noise and power consumption. SpeedFan 4.46. Not a good choice for a security conscious power user, as it needlessly phones home after install is complete. Thus Speedfan 4.46 is a security risk, which could either be compromised in the future by a hacker, or the programs author, or it already is a key logger or otherwise. Works great at monitoring temps and fan rpm's. Simple, perfect for home user. Great, gives the core temps too, easy install. I am a mac guy and nice to see this on my i3 windows office machine, feels mac-like.